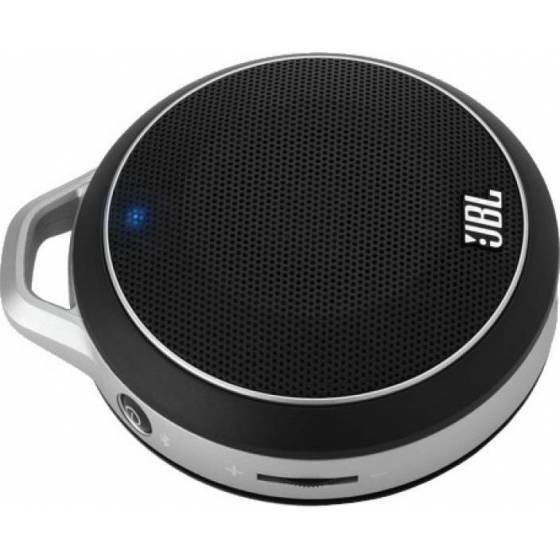 JBL® engineers believe that you should never have to sacrifice performance for portability. 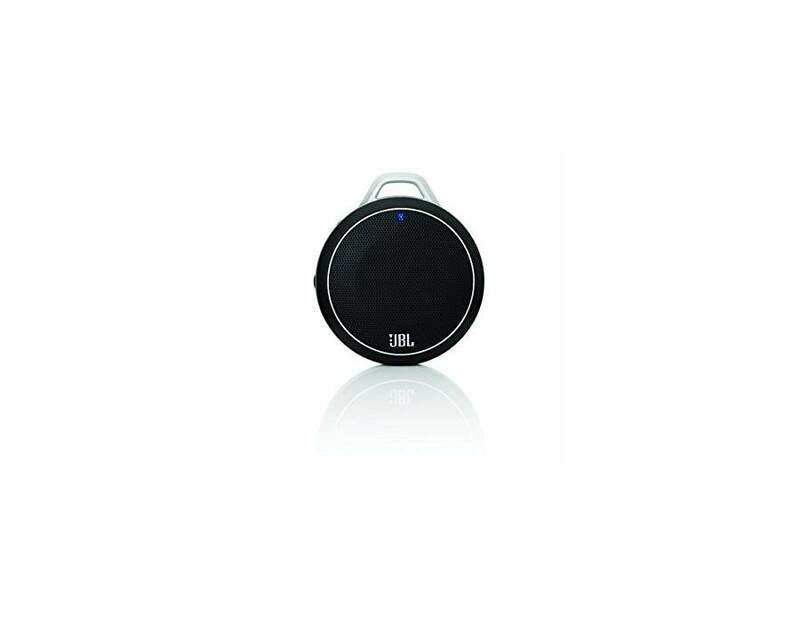 Introducing the JBL Micro Wireless ultra-portable loudspeaker. 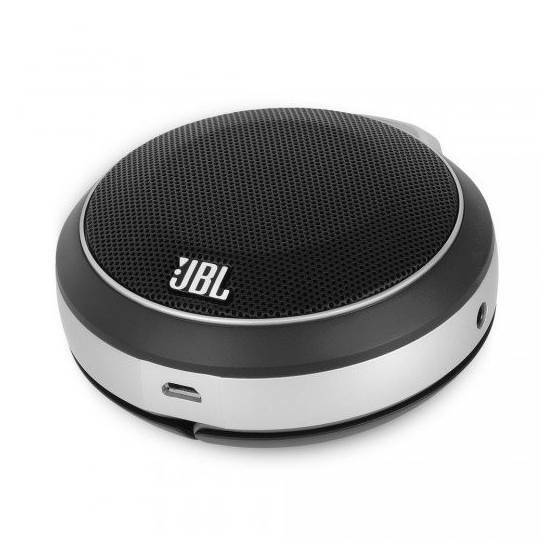 With its compact size, this speaker lets you take great JBL bass anyplace. 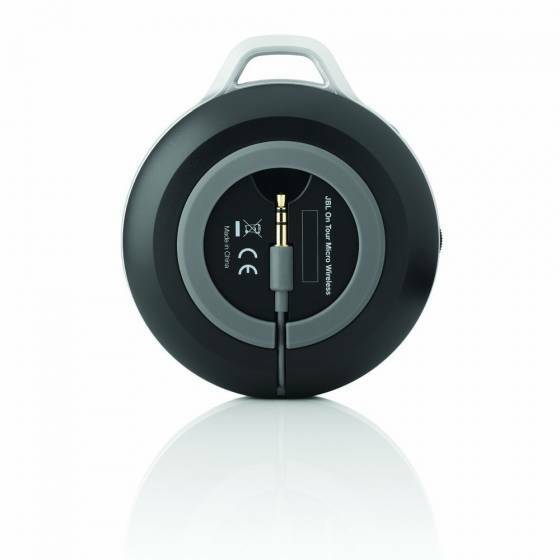 It’s the first ultra-portable speaker featuring a Li-ion (lithium-ion) rechargeable battery good for 5 hours of performance, a built-in bass port for powerful low-frequency playback and wireless Bluetooth® connection. With a 1-5/8-inch (40-millimeter) driver, it delivers full-range JBL sound with superb bass – yet it clips onto clothes or fits easily in a backpack. 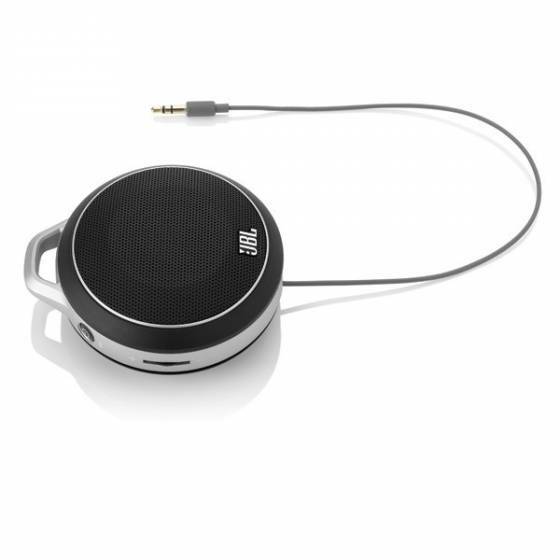 You can wirelessly stream audio to the speaker from any Bluetooth-equipped mobile phone or tablet, or use the included 11-13/16-inch (30-centimeter) audio cable – with a 1/8-inch (3.5-millimeter) stereo mini jack – to connect the speaker to any mobile device or MP3 player. 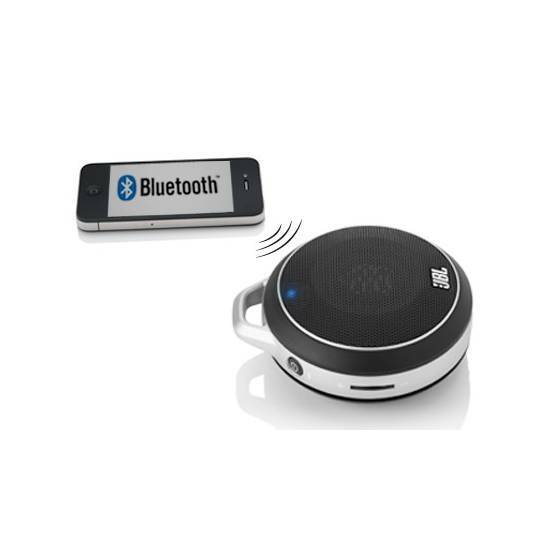 You can even daisy-chain the speaker with other JBL Micro Wireless speakers for a powerful sonic experience. 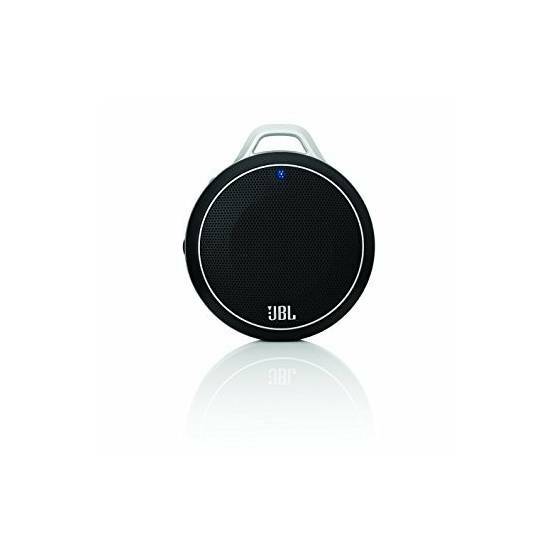 An ideal wireless audio solution for indoor or outdoor playback, the JBL Micro Wireless offers performance, portability and pricing that the competition can’t touch. 4.9 average based on 10 ratings. Very powerful for a handy speaker!